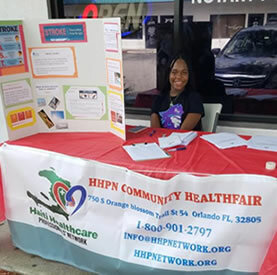 Doctors and nurses from HHPNetwork throwing a heal fair in a low-income community in Immocalee, Florida! Lessons from other health initiatives in Haiti and a number of impoverished countries provide us with invaluable resources to develop a comprehensive program tailored specifically for Haiti’s rural communities. For maximum impact and sustainability of this health program, we have partnered with recipient communities so they acquire knowledge and skills required to make good use of resources they have so as to reduce their dependency on external aid. As we were looking for the most effective way for our health initiative to have long-lasting in rural, we found out that priority should be given to education on preventive care in combination with the involvement of recipient communities in the planning and implementation of the program. Moreover, we are encouraging these communities and health authorities to make good use of medical pratices they had used for generations. in other words, a combination of traditional western medicine is likely to have a posisitive impact on the healh of our target communities and beyond. •	health Fair throughout the USA and the Canada. •	remodeling and building rural health facilities and pharmacies. •	granting scholarship to young men and woman to study basic and practical medical skills. •	providing incentives to young men and women with medical skill so they return and serve their communities. •	Conducting research on the benefits of traditional medicine that Haitians have used for centuries, and then involve traditional healers in our health program. •	building a state of the art teaching hospital in Haiti. Haiti Health Professional's Networks aims to assist low-income communities in the US and Haiti in their quest for access to heath care. In the US we prioritize Heal Fair while our main focus in Haiti is to provide its rural communities with access to basic health care through medical mission trips on a regular basis. In both Haiti and the US, the primary focus of our organization is preventative healthcare education. 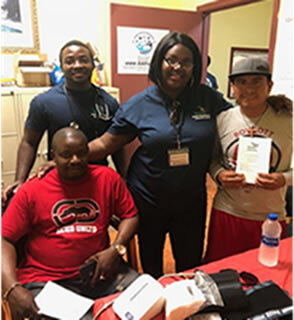 We believe it is the best approach to improving community health is in a sustaible manner. You can join in regardless of your skills by becoming a volunteer, raising funds, and makiing a donation. As a volunteer you can help here in the states or getting involved in medical mission trips to Haiti. Anything you do will make a difference in the lives of thousands of people. You can help wherever you are. Remember! © Haiti Health Professional's Network, 2018. All Rights Reserved.